We sent our 19th Shipment in October. The school is now set up for electricity, we have completed the wiring, and just waiting now for the meter to arrive to make the connection. A classroom has been designated for computers, so we have had this decorated, and we have also now completed the renovation of the boys toilets. This school is doing very well, and has been marked the second best school in the regoin’s cluster of twelve schools. They also came first in the Reading Aloud competition in the region. Mr. Cham (pictured below) and his three teachers of this new school had been asking Sankung if we would be able to give them footballs. 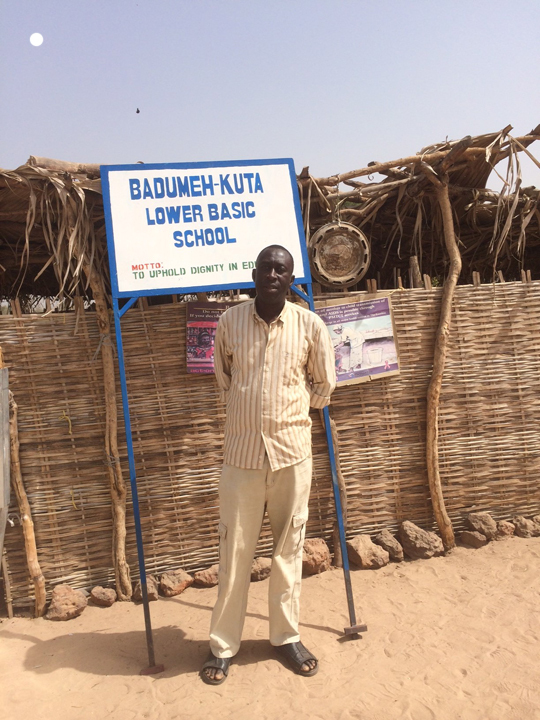 This we did, and found that the school has little else and needs so much help. 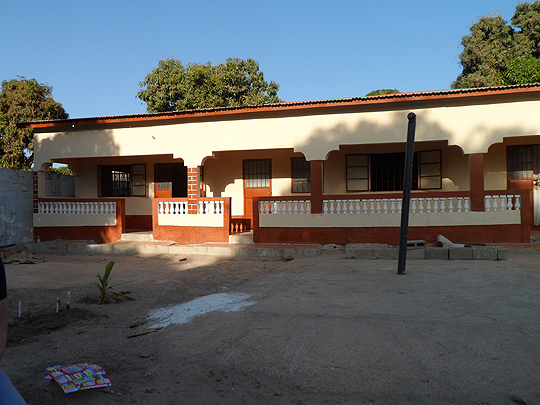 So we will be raising funds this year to build a toilet block for them to start with as our next project. The gardens are just fantastic! 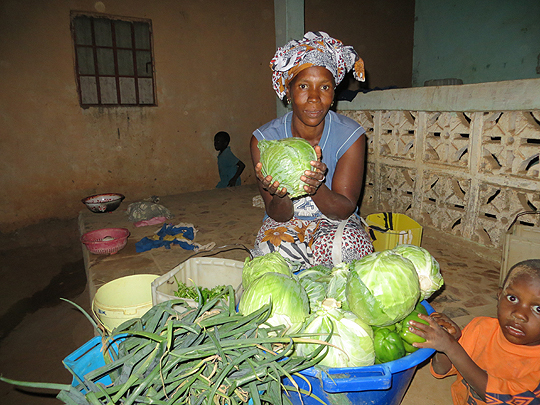 Every spare space is used, the wells have plenty of water, and the women are producing a great range of vegetabls. This has been going now for 8 years, and just gets better every year. We are purchasing some more fencing materials to ensure the goats are kept out of the garden area. 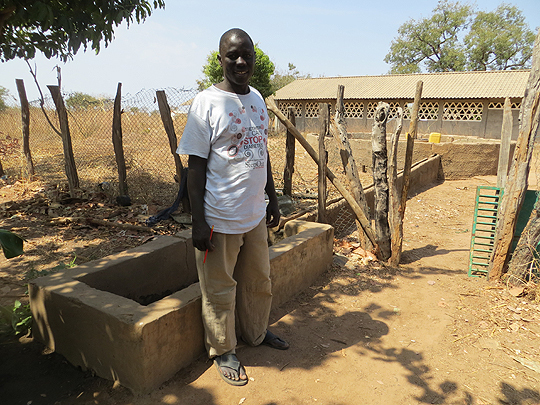 We have delivered more exercise books, and also provided the materials to repair the trough leading off the well, to enable easy access to water in the school garden. They had a good production of honey end of last year, but unfortunately a snake got in the hive and the bees have gone for the time being. Hopefully they will get a colony again soon. Our project here is now complete! Sankung and his family have moved into the compound. It has electricity and water, with plenty of room for any visiting students.